Dr. Usha B.R. is a Gynaecologist in Apollo cradle in Koramangala, Bangalore with a passion for treating Infertility and High Risk Pregnancy. 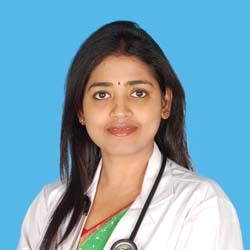 Her expertise also includes Gyne laparoscopy and Hysteroscopy, Infertility including IVF, Gyne Ultrasound, Diagnostic and Operative Hysteroscopy, Single Puncture Laparoscopic Ligation. She Completed M.B.B.S. from Bangalore Medical College and Research Institute, Bangalore, MRCOG part 1 from Royal College of Obstetricians and Gynaecologists, London, U.K , M.S. (Obstetrics and Gynaecology) from Bangalore Medical College and Research Institute, Bangalore, DNB (Obstetrics and Gynaecology) from Diplomate of National Board, FMAS, Senior Resident All India Institute of Medical Sciences, New Delhi.